The main and simple purpose of the APA reference page is to ensure that the reader can locate and retrieve the sources cited in the paper. And because sources come in many different shapes and sizes, APA has guidelines on page structure for different kinds of publications that need to be attributed. Before delving into specific types, here are some basic rules to take note of when writing an APA reference page. The reference page should appear at the end of the paper. It should be separated from the last page of text. Each source cited in the paper should appear twice—it should be cited in the actual text and then listed on the reference page. The page should be labeled “References,” centered at the top of the page and without any formatting (do not bold, italicize, underline or use quotation marks). As in the rest of the body text, an APA reference page should be double-spaced. All lines after the first line of each entry should be indented half an inch from the left margin. This is called the hanging indentation. Alphabetize, according to last name, the entries on the reference list. 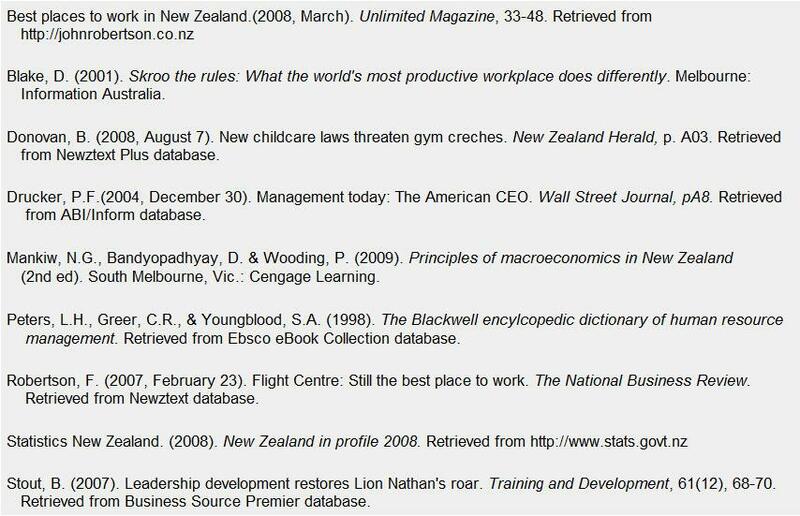 If an author has multiple articles, list down in chronological order from oldest to newest. Author’s name should follow the format: last name and then initials of the first and middle name (if provided). If there are two authors, use the ampersand instead of using “and.” If there are up to seven authors, list down the last name followed by initials. If there are more than seven authors, write down the first six and then use ellipses after the sixth author’s name. After the ellipses, write down the last author’s name. Maintain the punctuation used in journals. Capitalize all major words. Italicize titles of longer works. These include books and journals. For shorter works such as essays and journal articles, do not bold, italicize, underline or put quotation marks. When attributing books, chapters, articles or Web pages, capitalize only the first letter of the first word of a title or subtitle. You may also capitalize the first word after a colon or a dash in the title, and, of course, proper nouns. In a hyphenated compound word, do not capitalize the first letter of the second word. When citing location, use the postal abbreviation format without period. For example: NY for New York or MD for Maryland. For more visual guidelines especially on the elements of the page structure, here are some sample APA reference pages. Notice that the entry has four essential elements: the author’s name, the year of the publication, the title and additional information on the publication. When creating your APA reference page, do not forget to list down even the non-print sources such as interviews or documentaries. There are specific rules for each source so it is important to identify the type of material you used to determine which formatting rules apply. Admittedly, this is a bit more tedious than doing a non-APA reference page but this is something that can be done with a lot of help along the way. This process ensures that your paper gives proper credit to the people and their body of work which have been instrumental in the creation of your own.